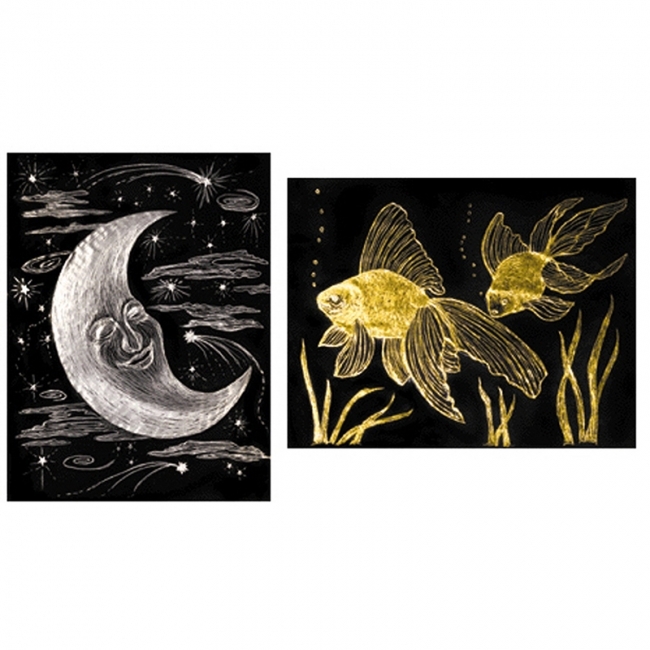 A perfect first Scratch Art experience! 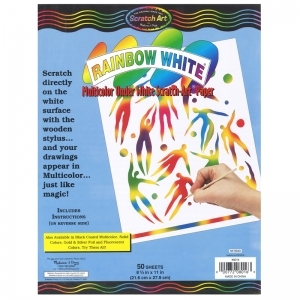 Simply scratch white-coated sheets with the wooden stylus to reveal brilliant colors. Spectacular results with no mess! 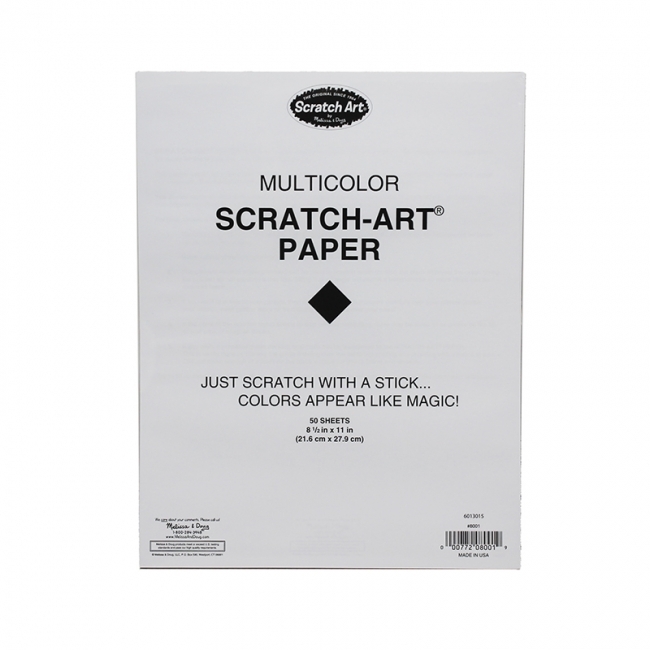 Includes 50 sheets of 8.5" x 11" paper. 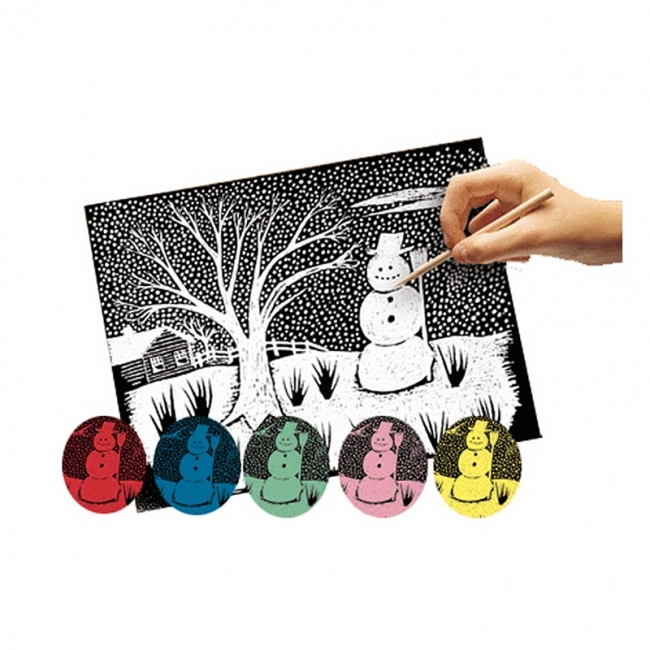 Scratch the black-coated sheets with a wood stylus to reveal brilliant colors beneath. 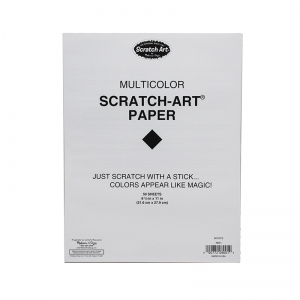 Thicker card backgrounds mean your art projects won't warp or curl. Spectacular results with no mess! Includes 30 8.5" x 11" boards. A stunning effect! 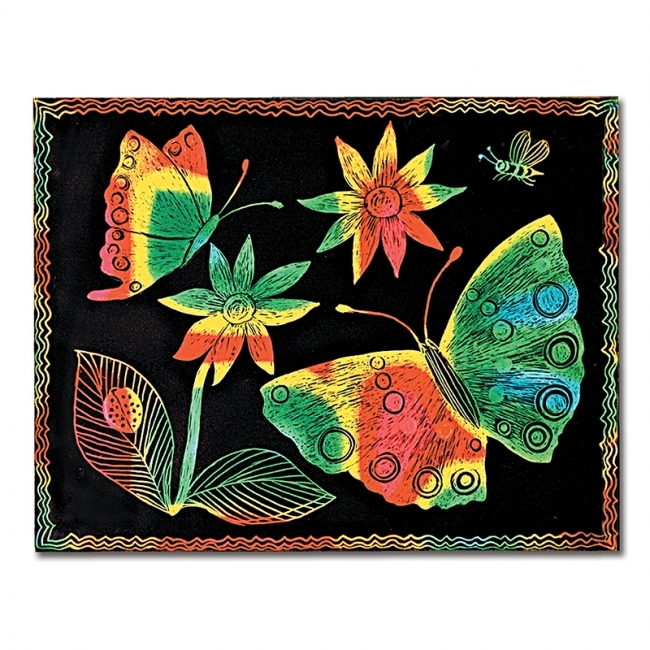 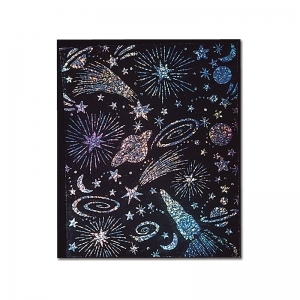 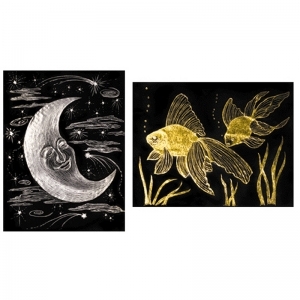 Scratch the surface of this black-coated holographic board with a wooden stylus to reveal glittering colors. 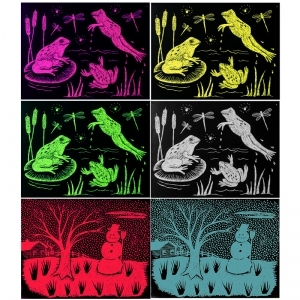 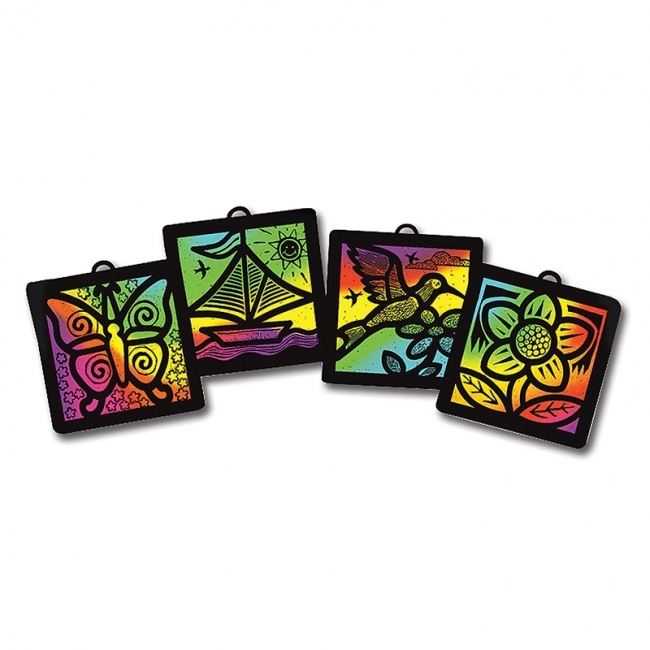 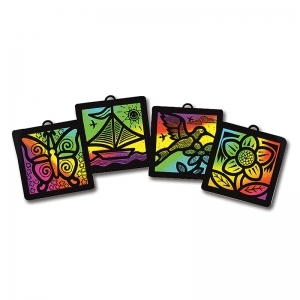 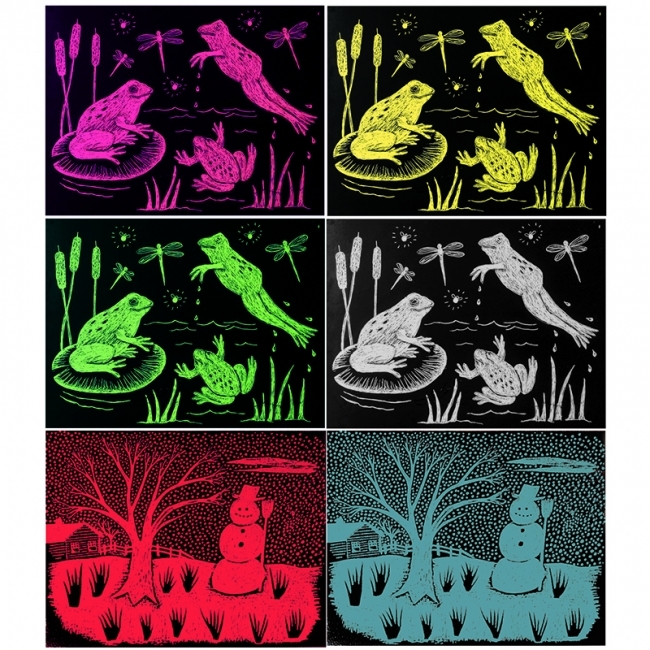 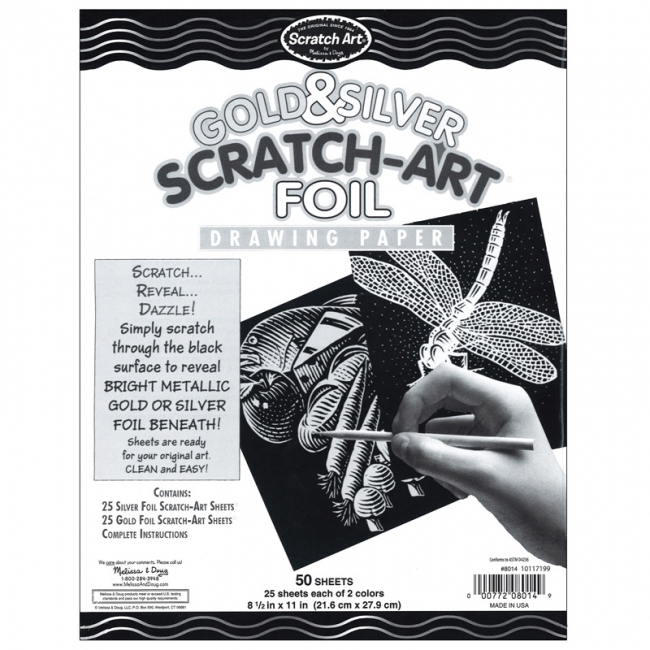 Pictures and designs reflect light and produce sparkling prismatic colors, and thicker card backgrounds mean your art projects won't warp or curl. 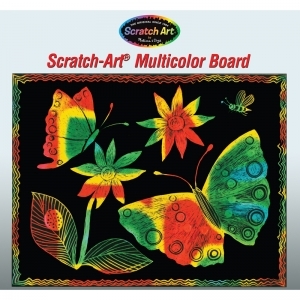 Includes 30 Scratch & Sparkle boards and instructions.